Internationally acclaimed opera tenor Stéfan Louw is kicking off the New Year with his series of concerts called Aria! Opera for Everyone on Friday 18 February, 20:00 in the Musaion Theatre at the University of Pretoria. Louw, of whom was written that his voice should be declared a national treasure (Kennedy:2005), says that he wants to bring opera to everyone. He believes that the art form is not only for the connoisseur but also for the man in the street. "I lived in Belgium for a short while and was very surprised by the train driver who told me he saved all year for his ticket to the opera," he says. "Opera is part of the western culture, and I will die trying to bring it back to the everyday South African household." The plan is to tour South Africa with the concert, not in the cities, but in the beautiful theatres of Sasolburg, Witbank, Vereeniging and the likes. On Friday 18 February at 20:00, Louw will return to his place of studies to spoil the audience with his rich tenor voice in the University of Pretoria's Musaion Theatre. The programme includes a variety of both well-known and lesser-known tenor arias, all accompanied by piano. 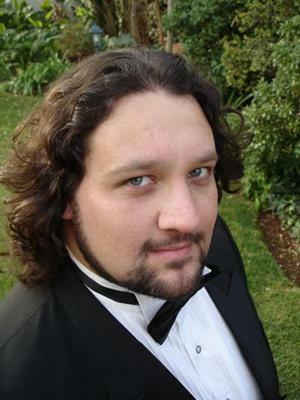 Linette van der Merwe, a mezzo-soprano from Pretoria, will share the stage with him. Tickets for the concert are available from Computicket outlets as well as online at R120 per person. Enquiries can be directed to Marisa at 082-878-6190. More information is also available at www.stefanlouw.co.za.